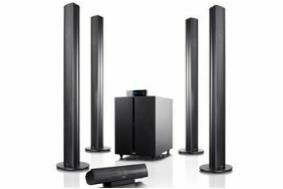 HOT DEAL: Teufel celebrates the Oscars with 20% off everything | What Hi-Fi? Intended as a celebration of the Oscars at the end of the month, the deal provides a 20% discount on Teufel's entire range of audio equipment, including: PC speakers; home cinema speakers; systems; iPod docks; stereo speakers; stereo systems; audio streaming products; subwoofers; and headphones. The offer applies to all orders worth more than £179. Sven Soltau, marketing director at Teufel Audio UK, says: "The forthcoming Oscar awards ceremony in Los Angeles is a great time of celebration for the film industry and indeed, the whole entertainment industry. "We feel our promotion celebrates what's great about films and how we have done our bit to enhance people's enjoyment of movies in their own homes. “Movies are not just about the pictures. Sound is vitally important and our technical development team has worked hard to emulate the ‘movie house' experience within the home." For full details of all offers, go to the Teufel UK website.